Carl Fismer, affectionately dubbed “Fizz,” is a treasure hunter that has dived on some of the world’s most famous shipwrecks. He is often described as a real life underwater Indiana Jones. Carl is an active treasure hunter who travels the world looking for treasure and artifacts. He has worked with Mel Fisher on the world famous treasure ship, the Atocha. Carl is often called in as an expert on shipwrecks and treasures of the Spanish Main when producers and writers want to add realism to their productions. Don’t miss this once in a lifetime experience to gain knowledge from one of the leaders in treasure salvage! We are open 10 a.m. – 5 p.m.
that day so come early! for your special someone. 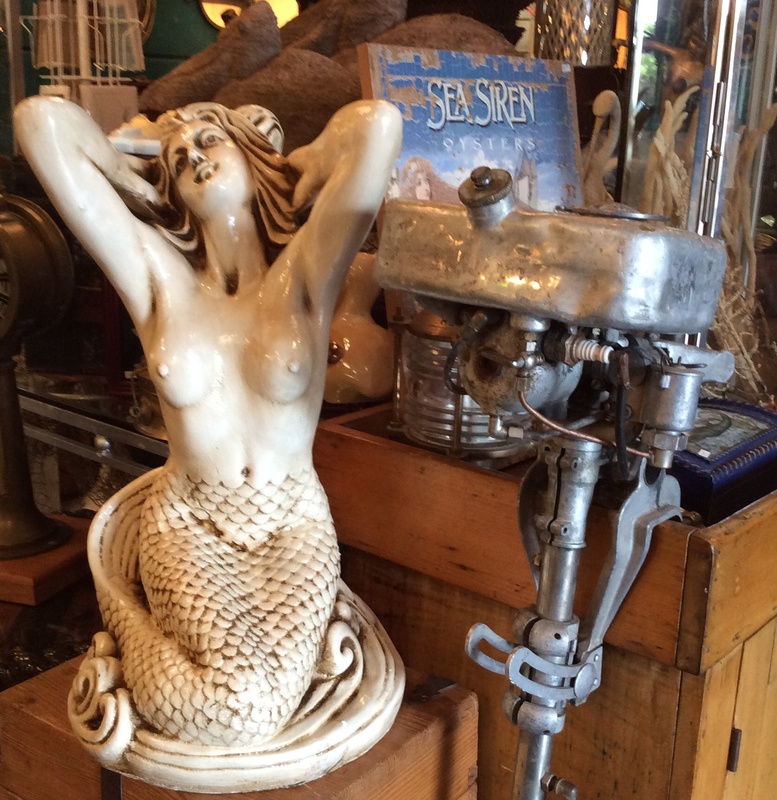 We have an amazing selection of nauticals, antiques, mermaids, local artwork, jewelry and much, much more! Saturday and Sunday, February 14th & 15th. This event always draws a crowd and benefits The Florida Institute for Saltwater Heritage (F.I.S.H. ), a non-profit, grassroots organization established in 1991. F.I.S.H. is dedicated to the preservation of man-made and natural heritage of Florida’s maritime communities. Come by The Seafood Shack for lunch or dinner while you’re in Cortez! The Sea Hagg has been in the process of creating a new look at the restaurant. If you like nautical decor and a great view, this is the place to be! For more info, www.seafoodshack.com. It’s just a few days away – be sure to stop by the shop where you’ll find everything you need for a Happy Hagg Halloween! Check out this great article which recently ran in the Sarasota Herald Tribune! 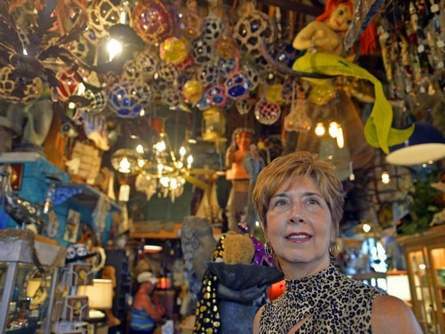 The Sea Hagg is a nautical and curiosity shop owned by Jan Holman, and is located in the historic fishing village of Cortez, Florida. 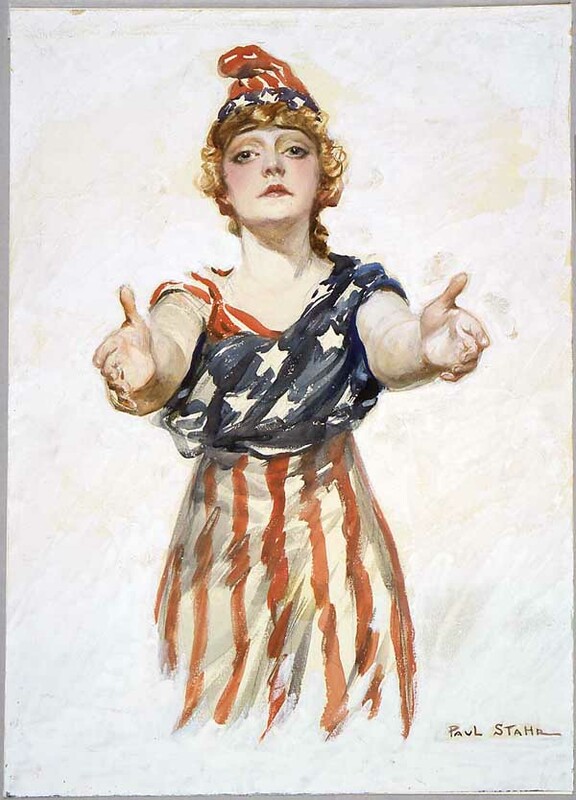 “Be Patriotic,” a World War I poster designed by the artist Paul Stahr. Sale starts Friday, August 29th and runs through Labor Day! One of the great things about The Sea Hagg is our ever-changing merchandise! Watch for more to come! Father’s Day is June 15th and, in honor of all the amazing dads out there, we’re having a sale! There’s still plenty of time to stop by to find that perfect gift for the important man in your life. This Weekend at The Sea Hagg! Jan DiRuzzo, children’s author of The Lost Mermaid~A Shem Creek Moonlight Jamboree and its sequel, The Lost Mermaid~Return to the Raspberry Kingdom, will be on hand to sign copies of her books on Saturday and Sunday, February 15th & 16th from 10a.m. 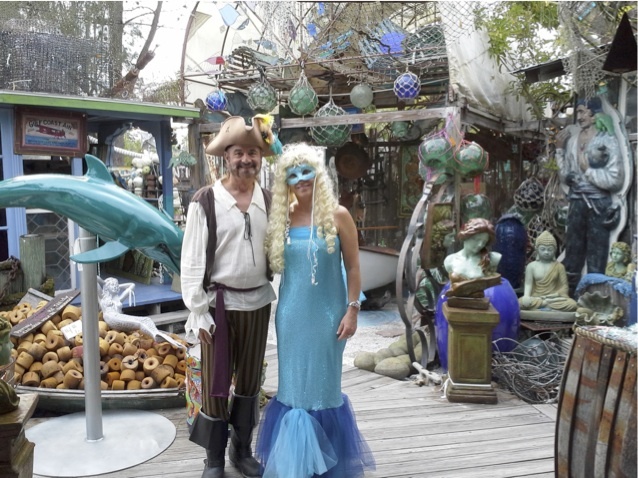 to 4 p.m. Lily the Mermaid and Lily’s favorite pirate sidekick, Captain Joe, will also make a guest appearance. Lily and the Captain will be passing out complementary magic stones, found aboard the pirate ship, the Flying Dragon. So there’s guaranteed to be lots of magic along with stickers for the children. These mythical tales will enrich your child’s imagination and immerse them in a coastal seascape, where they will meet loggerhead turtles, dolphins, fish, oysters, crabs, and a scary octopus. They will visit a musical jamboree and search for treasure aboard a sunken ship. The stories also offer valuable lessons about the danger of judging others by appearance and language and gentle approaches to bullying. Jan is a graduate of the University of RI and RI College. She has taught writing and literature at both the secondary and college level and has worked as a technical writer for the Naval Department of Defense. Jan has always lived near the sea, originally in Newport, RI and now in Charleston, SC. While kayaking with the dolphins along Shem Creek, she became inspired by the diversity of life both on and off shore and has woven these themes together to share with other young readers. Jan is also available for interactive readings and presentations. Visit www.thelostmermaid.com to learn more about these events. 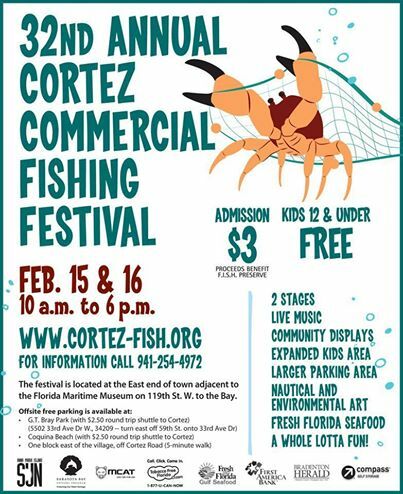 While you’re in Cortez, be sure to check out the 32nd Annual Cortez Commercial Fishing Festival, Saturday and Sunday, February 15th & 16th. Artist Dave DeGroat has been on site this weekend. Dave is an artist from North Carolina who carves mermaids from odd and unique pieces of wood.